Lookin good fellas. Some stuff just needs to be tweaked a bit. Here's just some to name. The lava cave tiles could be a bit more saturated. 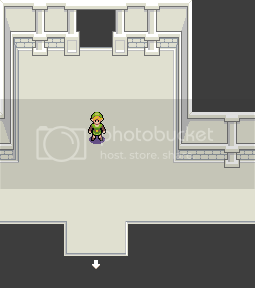 The Beast Ganon sprite doesn't really look too much like Ganon(If it even is Ganon ) and the door opening doesnt look quite right, it seems to stretch at the end when it closes.. there's a few more but they just look unfinished. I love the Link running, the well, the cave entrance and the character sprites though. Good work. That is not Ganon anymore. That was said already and changed to be a largely Moblin type animal. not exactly what I was shooting for.. I spoke to .TakaM about the inside perspective. 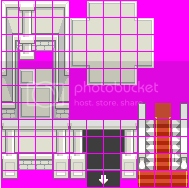 I tried to make the interior tiles for the large house. I want to refrain from posting in here since we are not supposed to but I just want to say nice tiles. The floor is just as bland as other Zelda games. Good work. MG Zero you and me should not have posted here. I posted these in a ZFGCCP topic, but they got zero attention, so I'll post them here, as they're ZFGC style, obviously. New young Link sprites.. finished side and rear views, still working on front animations, then I'll start on the side and rear ones. nice, but I don't think it's a good idea to have the floor the same colour, even if it is of the same material. this is a pretty good start, they could just use a few more minutes of refining, and they'd be perfect. now let's see some more stuff get made. and about the floor.. maybe a large red carpet? NEW: Young Link, 100% costum this time. Those are all some nice sprites, but it still think its a pity not many contribute some more. Great stuff man, truly brilliant! You might wanna make the lighting on the floor, like how it was in MC. I can understand some of you might think you can't make anything good enough to be "officially accepted", but even if that is the case, don't let it deter you from the real point- taking part in a very very accessible community activity. COME ON, show your support and help out some indie/fan-game developers, you know you owe them. so if you're ever feel like spriting, why not zfgc style?